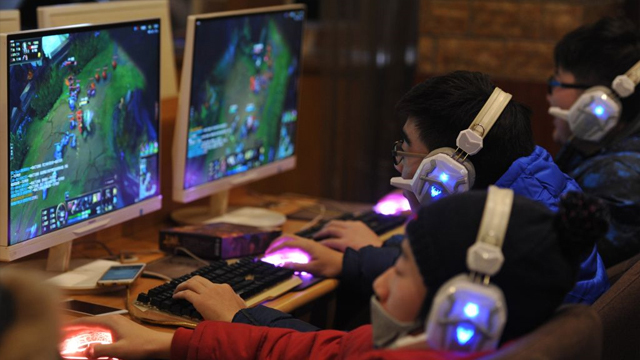 China’s social ranking system is monitoring its citizens and it turns out that playing video games can have a negative effect on their scores. The program allocates a social credit to members of the population and while it’s not fully rolled out yet, the country aims to deploy the controversial system by 2020. The social ranking system can allocate and deduct points based on an individual’s behavior. Some infractions make at least a little sense such as bad driving or smoking in non-smoking zones, however many factors involved are worryingly secretive. Buying too many video games or spending too long playing them can cause citizens to take a hit to their social credit (via Business Insider). Other examples are wasting money on frivolous things, spending too much time on social media, and many other infringements which just seem too subjective. This is troubling news for Chinese citizens, as having bad social credit in China’s social ranking system isn’t just a number. People with low scores will be punished by the system, including being publicly named and shamed by the government. Some punishments and restrictions have already been carried out. Nine million people have already been banned from domestic flights, while three million have been banned from business class train rides. Once further implemented, members of the population will find that their access to things like high internet speeds, good schools, hotels, and jobs have been limited or outright prohibited. Those deemed to be good citizens by China’s social ranking system will reap the rewards of this by getting discounts on bills, lower interest rates, and even having their dating profile boosted. As there’s no clear way to know what constitutes as “good” or “bad” in the eyes of the Chinese government, attaining a positive social ranking seems like an uphill battle.. If something as innocuous as playing or buying video games could lead to some citizens not getting access to education or jobs, there’s no limit to the control this government could have. In more unfortunate news regarding China and video games, the county may also be banning Winnie the Pooh from Kingdom Hearts 3 because of memes that compare the bare to Chinese leader Xi Jinping.